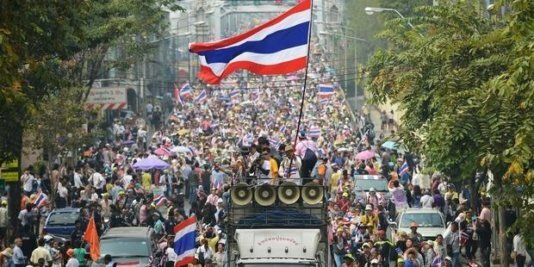 Thai authorities must protect and respect human rights during mass protests planned to be held in Bangkok next week, Amnesty International said. The organization has also urged all protest leaders to call on their followers not to commit human rights abuses. Protesters have announced plans to stage mass demonstrations and shut down government offices until the current government steps down. The government has deployed some 15,000 military and police to the capital. “The situation in Thailand is tense, volatile and unpredictable. There is a real risk of loss of life and injury unless human rights are fully respected,” said Isabelle Arradon, Amnesty International’s Asia-Pacific Deputy Director. Protests have escalated in Thailand since the parliament passed a controversial amnesty bill in November 2013 – it was subsequently rejected. The opposition has announced it will boycott snap elections on 2 February called by Prime Minister Yingluck Shinawatra. At least eight people are reported to have been killed and scores injured during the protests, which started in November 2013. In the most recent incident on 10 January, four people were reportedly injured when clashes broke out between pro- and anti-government groups in Pathum Thani province, just north of Bangkok. Amnesty International calls for a full, thorough, independent investigation into all incidents which resulted in injuries and deaths. Where sufficient and admissible evidence is obtained, any suspected perpetrators should be prosecuted. “It is crucial that authorities ensure redress for these deaths, and accountability for past abuses in Thailand which have led to loss of life or serious harm,” said Isabelle Arradon.